Chaos Created was commissioned to develop a Story Spinner activity as part of TES iboard’s recent St. George’s Day Narrative Packs. The activity was designed to act as a starting point for pupils to develop their own stories. The activity allows children to spin the reels to get a combination consisting of a hero, a weapon, and a monster. The pupils can then develop their own creative writing pieces, or improvise a story, based on these combinations. By allowing the banking of combinations, a teacher could use this activity in front of a class to assign different groups combinations to work from. 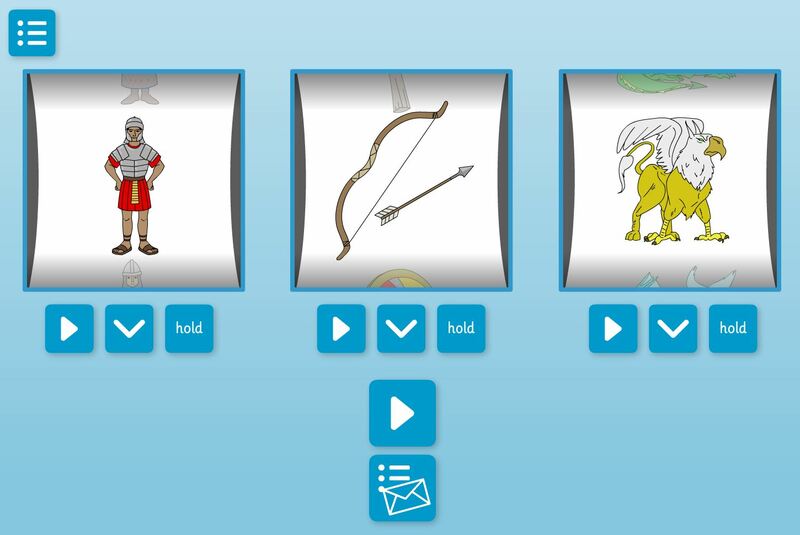 The activity is available as part of both St. George’s Day Narrative Packs over on the TES iboard site.